YJHS2000 posted a message on You start a match. Which archetype are you least excited to see across the board? I didn't vote because control warrior is not an option. No thanks 45 min games. To me, the most offending combo of the meta is Preparation > Raiding Party > Waggle Pick > Dread Corsair (sometimes two). 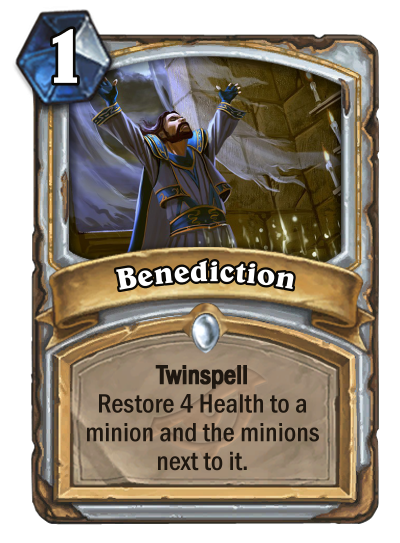 The amount of value there for 4 mana is just insane, and usually means game over on turn 3 or 4 for a two card combo. Waggle Pick is the biggest offender, especially when compared to Truesilver Champion. Stats are identical, but one gives one of the best Rogue cards, played in nearly ever rogue deck since forever as a deathrattle, the other gives a tiny amount of heal that would not even be printable on a 0 mana card. I think waggle pick should be bumped to 5/6 manna, or lower durability to 1, or get rid of the 2 mana cost reduction for the bounce. Love this thread. I had the same issue with Carnivorous Cube and [card]Stoneclaw Totem[/card]. 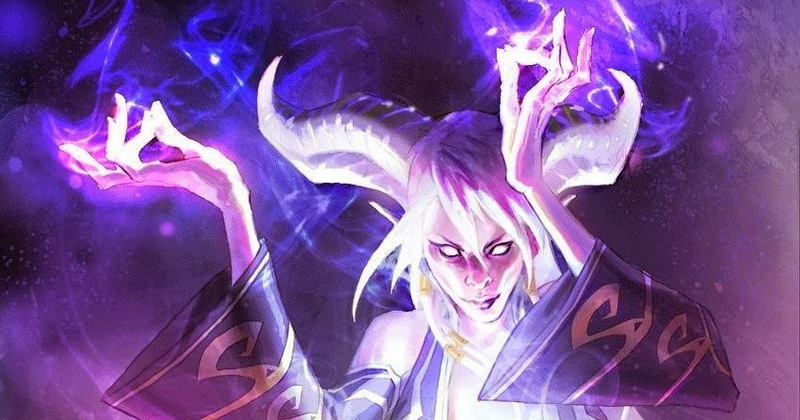 For the longest time I thought Auchenai Soulpriest was an evil rabbit, but those are horns not bunny ears. Pretty sure Bliz just said they thought Boom was a fair card because of its randomness, so I don't see it being Nerfed. To me the issue is the rush component (not random), which combined with Warrior's already huge cheap removal arsenal (both wide and tall) makes it impossible to keep any kind board presence against warrior, while they just sit back and amass armor from the boom card and boom hero power. YJHS2000 posted a message on Dr. Boom's Scheme bug? I agree there is a bug. When I put this card in my deck, I can't seem to win. I find I come across a large variety of decks and it's great. Even though I'm struggling to consistently win with one deck because there seems to be at least 1 or 2 viable counters for most things its good fun. People will cling on to what frustrates them though. If someone hates token druid, they may only face it every 3 or 4 games but it will burn in their mind and stand out. I'm having a great time with zoolock, it's not incredibly consistent and I have 5 game win streaks followed by 6 or 7 losses, making climbing fairly difficult but it's my favourite deck so far. I see beast and mech hunters, control shaman types as well as murlocs, control and bomb warrior, druid and rogues are fairly common as well. I don't feel like I'm playing against one class all the time, it would be easier if I were because I could just switch to a counter deck. Warlock and priest are the rarer of the classes but I still come across them and I don't really play all that much. Not compared to what I know others do. I think it's really diverse, that could change but for now, great job so far IMO. Where are you playing? Because at ranks 3-4, I'm seeing almost exclusively token druid and tempo rouge. 15 of may last 20 games against those two decks. YJHS2000 posted a message on What is the counter to bomb warrior? Token Druid is the counter to everything. Beg to differ. Just won 22 in a row from rank 10 to 4. Loss finally came to... another token druid. Beat at least 5-6 "tempo" Rogues along the way. If you can't beat 'em, join 'em! Token Druid is fairly cheap. Play it. Win. YJHS2000 posted a message on [RISE OF SHADOWS] Climbing from rank 5 to legend. YJHS2000 posted a message on this meta is already setted ? I just rolled off 14 straight wins with token druid from rank 10-5. I don't see how this deck is beatable unless your opponent is playing tons of board clear and draws them all in the first several turns. Control Warlock is dead without Defile. Sad.